We appreciate your interest in our publications. Here you can download, as pdf documents, a range of the specialist articles we have published. 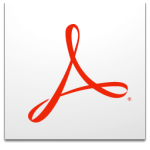 To view the articles you need the free Adobe Acrobat Reader. Großmann, A.; Päßler, S.; Ziehe, A.